iPhone or iPad users who run iOS 11 or iOS 12, alternatively updates its iOS version to a new version, likely get stuck with Bluetooth issue, such as Bluetooth not showing up on iPhone or iPad, Bluetooth won't turn on, Bluetooth suddenly disconnecting, Bluetooth won’t connect after iOS upgrade, Bluetooth connection always drops and Bluetooth can't recognize Bluetooth devices as Fred reported. You may have been obsessed with this Bluetooth not working problem for a long time and still on the way to look for effective solutions. Now good chance comes. You can follow available ways to fix it soon. First of all, you are supposed to turn off both your Bluetooth and the related Bluetooth device, follow that you can hard restart your iPhone/iPad. Continue to turn Bluetooth on and open the device you would like to connect with your iOS device. You can match them again to check whether Bluetooth can work. 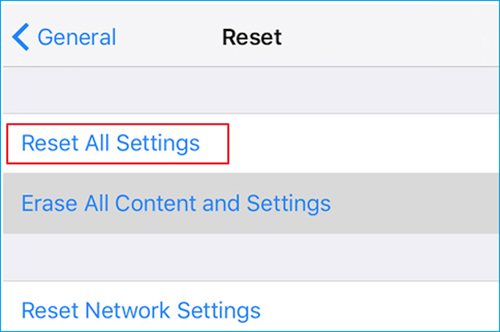 Note: You can go to "Settings" > "Bluetooth" to enable the switcher if there is no way to totally close Bluetooth as well as WIFI on Control Center (iOS 11/12). 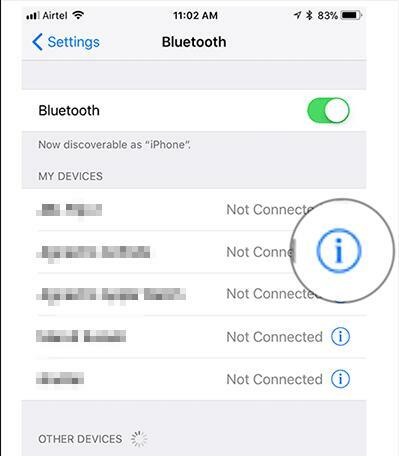 If Bluetooth not working issue exists on iPhone or iPad, you can also remove all paired Bluetooth devices and reboot iOS device to make connection again. To do this, you just have to head to "Settings" > "Bluetooth" to click on the "i" button behind paired device. Tap on "Forget This Device" to remove it from "My Devices" list. Then turn off "Bluetooth" on "Settings" and restart iPhone/iPad. After that, you can turn on Bluetooth and try to connect afresh. Another viable method to fix iPad/iPhone Bluetooth not working issue is to restore them from iTunes or iCloud. Additionally, you can get access to make factory default on iPhone or iPad. To do this, you have to go for "Settings" > "General" > "Reset" > "Reset All Settings". Note: Remember to back up iPhone or iPad in advance as this solution may easily wipe current iOS data. 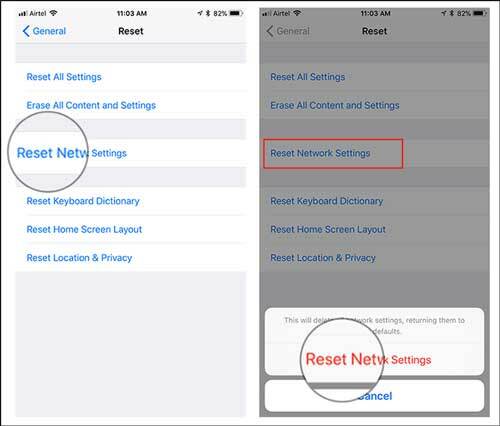 The Bluetooth connectivity problem on iOS 11 and iOS 12 can also be solved by resetting network settings on iOS device, which assists you to wipe out WIFI password and website login info, leaving your iDevice factory default as well. Now, what you ought to do is just go forward to "Settings" > "General" > "Reset" > "Reset Network Settings". Afterwards, enter password for your iPhone or iPad to confirm.